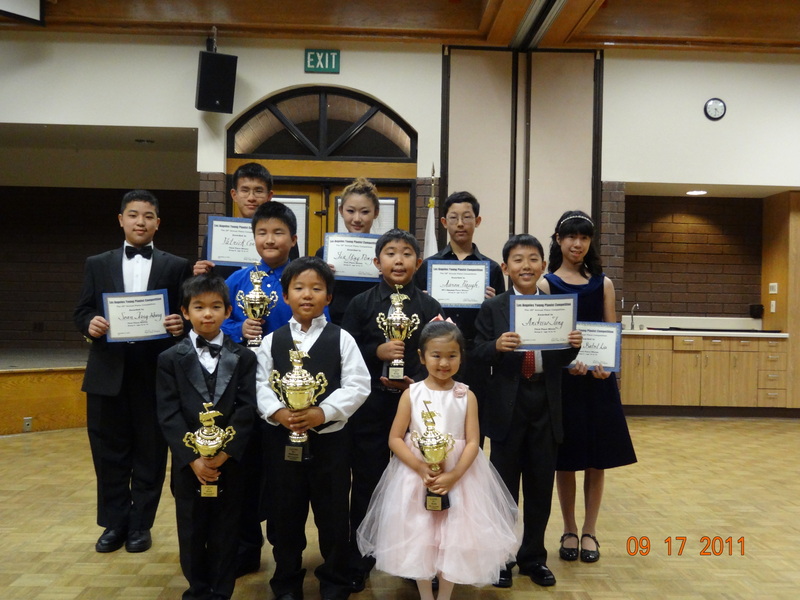 Our annual Summer Recital was a great success! All the students performed very well, and everyone received an award for completing the MTNA Music Achievement Award Program. As always, Benny Law, Kristen’s dad, took beautiful pictures for us. Thank you to everyone who performed and came to our recital! 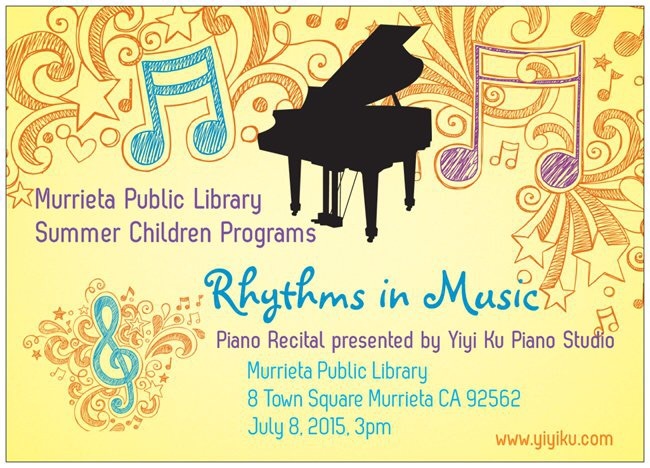 Our last recital of this academic year will be held on July 8 at Murrieta Public Library. The library invited our studio to participate in their summer program for children, and I am delighted to present “Rhythms in Music”. This should be a fun recital featuring different rhythms. The recital is free and open to the public. 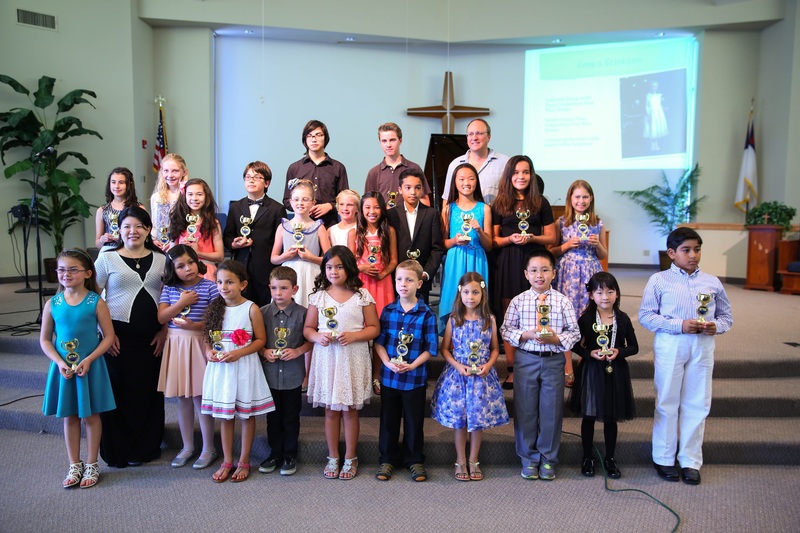 The following students will perform: Alexa Willis, Claire and William Nguyen, Timothy Nguyen, Alyssa Samson, Andreas and Lucas Schaefer, Emma Erickson, Hudson and Hunter Erickson, Rachel and Charys Hong, Noelle and Joshua Hong, Fiona Harley, and Kristen Law. I highly encourage more students to participate in this exam next year. Email me if you are interested! 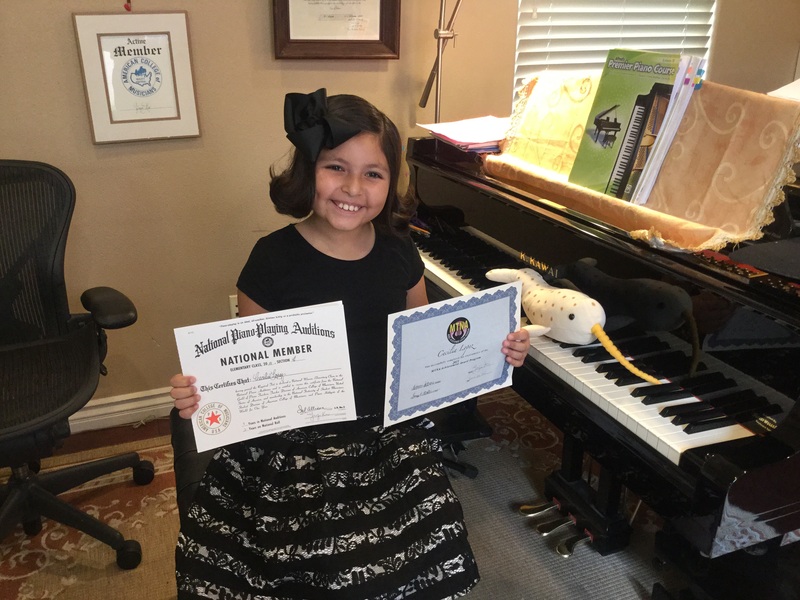 Good luck to the following students doing their National Piano Guild Auditions this month: Cameron Chang, Kristen Law, Koralynn Gagucas, Cecilia Lopez, Fiona Harley, Samantha Estrada, Kelly Rausch, Jessica and Jeffrey Kim, Rachel Hong, Charys and Noelle Hong, Emma Erickson, Hunter and Hudson Erickson. My name is Cecilia Naomi Lopez. I am 9 years old and attend Montevista Elementary. I am in the 4th grade. My favorite subject is Math. I also LOVE to read and draw. I collect stuffed animals, I almost have a complete Zoo. I have been a student of Yiyi’s since I was 5 years old. When I grow up I want to be an author. Teacher comment: Cecilia has always been a pleasure to teach! She always comes to her lessons with a smile, and brings a stuffed animal to listen to her music. She consistently works hard, and completes whatever assignment I give her. 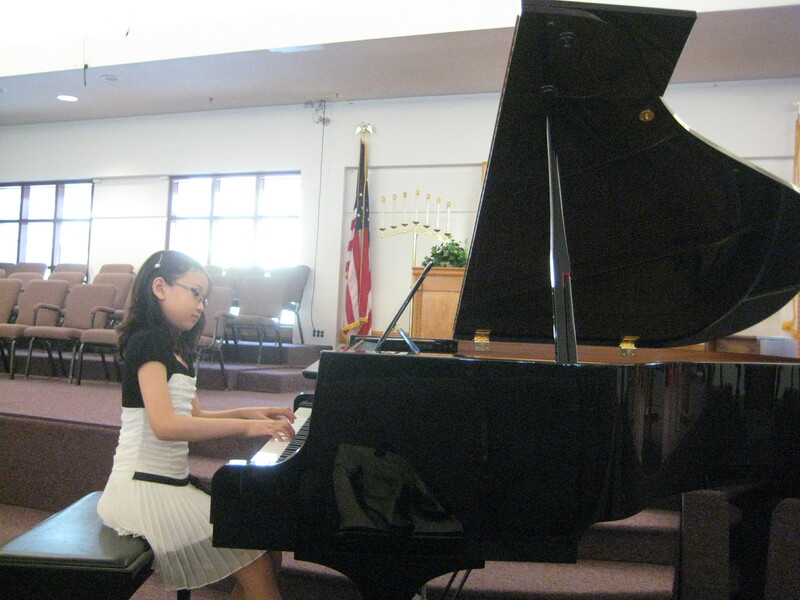 She has participated in the National Piano Guild Audition 3 times, and is progressing wonderfully. One time, the audition was on her birthday! Well done, Cecilia!